Is this another UK club biting the dust? They say that death by a thousand small cuts is the worst way to go. For a current example conforming to this type it’s probably necessary to look no further than the ever present Brexit story, every week bringing another small unfolding drama. This weekend is no exception, when one of the less likely episodes in this lamentable contrarian chronicle is likely to play out in an unusual location: that of a classical music concert. A concert with a live audience of almost six thousand in a packed Royal Albert Hall to be precise. Plus many thousands more listening on BBC radio 3 in the UK and around the world. Together they will hear a Sunday morning BBC Prom concert performed by an orchestra credited by European Commission President Jean-Claude Juncker as being “the best possible ambassador for the European Union”. Juncker’s comment by no means stands alone. Feted around the world, the orchestra in question – the European Union Youth Orchestra (EUYO) – comes to London in the midst of a six-week tour. The London concert follows sold out concerts in Warsaw, Berlin, Amsterdam and its summer home in Austria’s Grafenegg, during a year that has so far seen it pick up two awards – the European Orchestra Prize in Dresden and an international Cultural Diplomacy award in Abu Dhabi. But as Andrew O’Hagan wrote this week in his selection of the BBC broadcast of the concert as this week’s Radio Times ‘pick of the week’, “They’re not just a fantastic orchestra, they represent an ideal”. And that is the point: as the last chords of Sunday’s concert die away, that ideal will, in all likelihood, begin to come crashing down as far as future young talented UK musicians are concerned. The irony – the very big irony – is that amongst the Orchestra’s approximately 140 members selected annually from several thousand hopeful applicants across 28 EU member states, the UK has always had a distinctly strong showing. Places in the Orchestra are hotly contested and in an average year many EU countries can boast only three or four members at most. Yet on Sunday seventeen UK players will be on stage as part of the BBC Prom performance in what is by no means an unusual UK showing. Perhaps this has something to do with training for young UK musicians; the EUYO, for example, has become a natural progression route for generations of talented UK classical musicians once they have graduated from the exceptional National Youth Orchestra of Great Britain. And here is the rub: as the Orchestra opens its Sunday concert conducted by LSO chief guest conductor Gianandrea Noseda with the UK premiere of the young Polish composer Agata Zubel’s aptly named Fireworks, it is worth considering that this may well be the last time that an EUYO orchestra that includes UK members appears at the famed BBC proms. As a current UK member of the Orchestra recently remarked, this is devastating news for young UK musicians. Yet another exclusive club that the country is about to leave. Many people will likely say, ‘yes, very sad for the few hundred young UK musicians that might otherwise have been EUYO members in the next few decades, but in the grand scheme of things how important is a youth orchestra?’ And of course this is true: the EUYO’s move of headquarters from London to Italy earlier this year has not had – and will not have – any juddering economic effect on the UK’s economy or the level of sterling. Or indeed the state of most people’s lives in the UK or Europe. Yet it is a metaphor worth pausing to consider. The ideals that O’Hagan mentions the EUYO as representing are at the heart of that metaphor. Sitting in the audience on Sunday will be the Orchestra’s now 88 year old co-founder, the indefatigable and visionary American (yet another irony …) Joy Bryer, who began the EUYO with her South African husband Lionel Bryer, Sir Edward Heath, and the legendary conductor Claudio Abbado in 1976. The ideals were, and continue to be, simple but powerful: bringing together the European Community’s finest young players to work at the highest level of excellence in an ensemble that mirrors the EU’s most important higher-level aims of cooperation and harmony between nations. It sounds like the very definition of an orchestra, which is precisely why the EUYO is such a powerful metaphor and ambassador for the EU and its ideals. But such an arrangement mirrors the EU in another important respect: it balances the natural tension between European and national aspirations. The players come together as Europeans, they play as Europeans, yet they never lose their own national identity. Unity in diversity, as the EU slogan puts it. You will hear this diversity in the Zubel commission that celebrates the 100th anniversary of Polish independence. You can also see it in the way the Romanians never cease to amaze with their improvised folk playing at the drop of a hat, or in the Spanish players’ habit of taking to the stage even after the end of a concert to play a quick paso doble and to host a riotous annual summer sangria party. I could go on. Each country retains its place, its meanings and its identity then, in this most European of organisations. In the current febrile atmosphere of increasing nationalism across Europe this is an unusual win-win, even a rare modern utopia of sorts, making the Orchestra something of critical importance beyond simply being a well-respected international youth orchestra of exceptional quality. And that’s great for everyone. Except, it seems, the UK. As the sounds of Tchaikovsky’s heroic fifth symphony die away on Sunday into the multiple byzantine recesses of the magnificent Royal Albert Hall, yet another little ‘cut’ will have taken place in the slow Brexit progression. The EUYO is not, and should never be, a political organisation. But If ever ‘second referendumers’ had wanted a background hum for their slowly rising campaign, then the sounds of Sunday’s concert will surely provide just the metaphor they should be reaching for. This entry was posted in Uncategorized on 18 August 2018 by Marshall Marcus. The shadow of Dante Alighieri, universal commentator on life, has a tendency to hover throughout much of the poet’s home country of Italy. But it is perhaps nowhere more present than in the maze-like web of streets and canals that have given us the world’s most unusual urban landscape, the city (and former Republic let us not forget) of Venice. Beyond this somewhat chilling example, the spirit of Dante’s writing, with its portraits of Hell, Purgatory and Paradise, hangs pungently through the many seductive moods of Venice, taking centre stage particularly during the festive periods: Carnival, New Year, feast days, and the string of celebratory events such as (to name one of many) the annual Marriage of the Sea. This spirit seems to be the city incarnate: practically everywhere you look there are hints of the theatricality with which Venice has entranced not just Dante, but many millions of visitors down the centuries. It is the quintessential ‘show’: exotic, inviting, enchanting. Into this theatrical impossibility of a place, this stage set of grand palaces, art, masks, gondolas and the tourist clichés and tat that summon an ever growing, almost impossible number of tourists1, comes the once-every-two-years art show known simply as the Biennale. There is of course nothing quite like the Biennale. (The proof of this is intimated in the name: nothing pays the compliment of fame quite as much as ownership of the generic title). To begin with there is the sheer volume of art on show. This year you can see eighty four country pavilions, non-national installations, and a central international exhibition, together constituting several thousand works of art scattered both within the two major exhibition areas of the Giardini and the Arsenale, but also in buildings and places all over the city. In addition there are the cleverly timed national and international major exhibitions in non Biennale galleries, museums, churches and Palazzi. And that’s before we start on the seminars, symposia, open nights, performances, and the before, during and after parties. From May to November of every odd numbered year, the spidery map of Venice is blotched with such a fantastic volume of events that the metaphor (beautifully captured in Lorenzo Quin’s Support pictured above) of a city slowly sinking under the volume of art, advances to meet the actuality of a city slowly sinking under the advance of water. (Implication: nothing lasts, go whilst you can). No wonder this is such a perfect location for the artifice of art: here is a place – if ever there was one – that invites the artist to play, to imagine, to create worlds of impossibility made possible. Part messy Royal Academy annual show, part cleverly thought out blockbuster exhibition, part global shop window, part Frieze art fair but without the buyers (except for Damian Hirst, see below); it’s an invitation to create with play. Of course given the plethora of regulations and bureaucracy, ‘playing’ in Italy is a complicated, if admittedly national, activity. But at the Biennale unthinking play seems to have found its home. As a North American festival director recently commented to me, ‘Italy can be so capricious that it suits the guerrilla artist far more than the establishment one’. Yet the Biennale is where the establishment – as well as the upstart – can really play the guerrilla. As with any large Festival, the really big question is how much of the city and how many of the people you can command. For the Biennale, there is a new director every year to look at this challenge, more often than not an internationally recognised art curator or chief. This year is the turn of Christine Macel, Director of Paris’s Pompidou Center. You might be tempted to think that a visual arts curator is the obvious programming route, but the Biennale could do far worse than exploit its unique qualities by going now and then for something quite different, perhaps a theatre group like Complicite, or better still, Punchdrunk. Oh that would be some Biennale. But enough of context: it’s time to look at the art. This year’s Biennale brings some big names and established artists as well as a host of lesser known global voices to Venice. Robert Wilson, Damien Hirst, Ernesto Netto, and (of those no longer alive) Philip Guston, Warhol and Rauschenberg lead the charge of the establishment. These artists are mostly to be found outside of the Biennale pavilions for the simple reason that the pavilions are not big enough to hold their status, fees or indeed any other aspect of them. The largest exhibition by far is by Hirst, who to be honest dominates this year’s Venice with a show that is astounding, and has taken years (actually around a decade) to produce. It’s big in just about every way. It is not just the number of artefacts spread across two of Venice’s largest exhibition spaces – the Pinault Collection’s Palazzo Grassi and Punta della Dogana – nor even the size of some of some of the pieces, startling though a number of these are, but more the sheer depth of storytelling that Hirst weaves. An idea of scale can be got from the fact that the basic guide for the exhibition (the sort of thing that some museums and galleries give away for free with a handful of pages) numbers some 70 pages. Just how big? the Demon with Bowl that greets audiences at the start of the Palazzo Grassi section of Damien Hirst’s exhibition Treasures from the Wreck of the Unbelievable. It fills the entire central courtyard of the Grassi, all three floors of it. Hirst has basically taken a believable idea – mounting an exhibition of shipwrecked treasure and some modern copies – and produced a sort of theme and variations on it with utterly obsessive and virtuosic attention to detail. It’s a bit like Steve Jobs, but for art rather than the iphone. The biggest question I heard people in the exhibition asking, was, ‘what is real and what is a copy’? The answer to this question is worked out on so many levels that you are forced to confront and question your own idea of the reality at work. You look at an object which has been so worked on as to give it the air of being a ‘treasure’, and try to both see it and also give it context. The result is an exquisite hall of mirrors. These are pieces from the wreck of belief, art for a ‘post belief’ age if you like, an idea that leads us straight to the Exhibition’s title on the front cover of the guide: ‘Treasures from the Wreck of the Unbelievable. Damien Hirst’. (it’s interesting to dispense with the full stop in the middle of the title, and this one suspects, is what Hirst is always encouraging us to do). Many of the pieces are tactile, vigorous, inviting and by turns beautiful and or imposing. Hirst invites you into a world of both luxury and modernity: he mixes bronze, silver, gold, marble, tourmaline, amethyst, pearls, rubies, agate, lapis lazuli, selenite, sapphires and topaz with painted MDF, stainless steel, aluminium, polyester and acrylics. And the mythic subjects are endless – a panoply of figures ranging from Bachus, the Minotaur, Pharaohs, Sphinxs, demons, warriors, animals, crowns, nautilus shells, and ‘ancient’ coins. He has got his team to produce a world of worlds. A few of the fantastic figures in Treasures from the Wreck of the Unbelievable. Far Right: Hirst as collector. For more images of the Exhibition see the Book online. And all the way along, in room after room, you are being played, with enough side and sub references, jokes and jibes, to make this a fertile Phd subject for future art historians. Shakespeare, Picasso, Homer, Holywood films, Babylonians, Greeks, Romans, ancient Chinese dynasties, Micky Mouse, TV documentaries, previous Hirst exhibitions, ancient African cultures, anagram signings of the artist – this list doesn’t even begin to scratch the surface. The play even extends to a meticulously made video of the ‘raising’ of the objects from the ocean that looks for all the world like one of those state television large spend documentaries. There are of course some big downsides. A lot of the ‘old’ pieces are beautiful, but when he resorts to MDF and aluminium for modern ‘copies’, their lack of textural interest can make them really quite tedious. Hirst has also overplayed his hand with the number of objects. Yes, it’s quite brilliant as an idea, but there is only so much of it you can take. What starts out as imposing can all too easily become exasperating. In the end I was begging to be let out. Has he taken the Pinault – or rather us – for a ride in the process? You bet. Of course to be a cynic (or perhaps I mean a realist?) you just need to see this as a massive opportunity for future sales, something at which Hirst, as we know, is the undisputed master. But more important are the telling arguments about cultural appropriation that the show has brought to light. It’s not clever to take a culture’s work and pass it off in a story telling device sort of way as an anonymous find of treasure from the depths. There is a good Huffington Post piece about the 14th century Nigerian Bronze Head unearthed in 1938 in Ife that is reproduced (i.e.copied) in the exhibition. Artist Victor Ehikhamenor’s comments on Instagram are worth repeating here: “Golden heads (Female) by Damien Hirst currently part of his Venice show “Treasures from the Wreck of the Unbelievable” at Palazzo Grassi. For the thousands of viewers seeing this for the first time, they won’t think Ife, they won’t think Nigeria. Their young ones will grow up to know this work as Damien Hirst’s”. Nigeria’s Ife Bronze Head in Hirst’s version/copy/appropriation? Is this a return to form for Hirst? It seems way above the quality of some of his last few years of work (remember that skull?) and will no doubt end up being seen as his big middle years project. The best pieces are extraordinarily impressive, and its exploiting of an overarching fictional story telling device is probably without comparison in the last few years of the global art world. It reveals him as not so much an artist as a fabulist. But the last word on the exhibition should perhaps go to the following catalogue description of a representation of one of the most mythic objects from the ancient world, The Shield of Achilles (in gold and silver): “Although this fractured object may originally have been presented to the collector as a priceless historical artefact, Homer’s shield is – by its very nature – a fiction, an exercise in artistic invention that exceeds anything a human craftsman should be capable of producing”. ‘Artistic invention that exceeds anything a human craftsman should be capable of producing’: yes, yes Damien, we are mightily impressed, but please, don’t overstate. Elsewhere in Venice, some of the best installations are the ones prepared to use a bit of fun and lightness. If you want something bright, then American stage director Robert Wilson has celebrated coffee producer Illy’s 25th art collection anniversary with ‘The Dish ran away with the Spoon’, a series of rooms in the old salt warehouse in Dorsuduro that seemed to bring a smile to everyone’s face. To quote Julie Baumgardner in Wallpaper online, this is a “brilliantly bonkers journey through Wilson’s imagination”. And what an imagination. Taking his cue from a nonsense nursery rhyme that dates back to medieval England he riffs in each room on different ways to bring the nonsense alive and kicking in glorious technicolour. Try this facebook video of the rooms for size. Nearby, the Grenadan pavilion also plays a few jokes, and in the Arsenale you can find a Tunisian kiosk that will stamp you a free visa for citizenship anywhere in the world. Nice joke in these days of migrant crises, or simply irony? I let other visitors decide. Sometimes that wit can work by also being deadly serious. Claudia Fontes’s Argentinian Arsenale installation The Horse Problem was described in the guide as “focusing on the idea of nation, territories and national identities, [it] gives a key to interpret history and future”. Art speak? Yet in practice it was riveting. A powerful assault on the senses that used the space with confidence and effect. And the same sense of power in the Arsenale comes from a very different piece from New Zealand, a highly original narrative playing out the violence perpetrated by British colonial soldiers on the indigenous New Zealand population, all presented on a rolling multi incident video screen, as powerful as it is imaginative, innovative and entertaining. The power of indigenous culture was even more present in Ernesto Netto’s installation Um Sagrado Lugar (A Sacred Place) at the Arsenale. It’s archetypal Netto; a netting structure recreating the feel of the sacred spaces of Amazon rainforest Indians, a Cupixawa (meaning a meeting place of social, political and spiritual ceremonies). And not far away, Slovenia’s film by Nika Auto uses the idea of trains, and the Belgrade Ljubljana line, as another set of symbols for displacement, marginalisation and immigration. Finally there are the big national pavilions in the Giardinia. Russia’s pavilion tops the ranking for me, a powerful cohesive rendition that gathers together ideas of totalitarianism, imagination and morality in a beautifully produced all white sculpted series of objects of tantalising imagination, each room serving a different but useful purpose within the whole. Russia’s Theatrum Orbis, commissioned and curated by Semyon Mikhailovsky. It consists of a variety of sculpture, installation, video and sound pieces, by artists Grisha Bruskin, Recycle Group and Sasha Pirogova.The title of the exhibition refers to Abraham Ortelius’ ‘Theatre of the World’ atlas (the first modern atlas), published in 1570 during Europe’s great age of colonialism and discovery. Elsewhere, everyone was talking about the German pavilion, where Anne Imhof in Faust has created a series of often harrowing tableau including people trapped below visitor’s feet, screaming soundtracks and figures, literally crawling up the walls. Unfortunately (ditto the Canadian and Japanese pavilions) it was closed during my visit due to storm damage, although I did manage a look inside Geoffrey Farmer’s Canadian pavilion, where the roof-less and largely wall-less construction seemed to have anticipated the storm with some clever foresight. But of course I missed the objects placed inside the deconstructed building that are placed to complete the idea of breaking from the past. That same trick – breaking with the past – is also evident next door in the British Pavilion. The British pavilion sits at the top of the national avenue in an arguably supreme location. Recent years have brought impressive installations from the likes of Gilbert and George, and Jeremy Deller. But this year I strained to see the point of Phyllida Barlow’s Folly, a child-like series of Papier-mâché like blotch coloured spheres and objects hanging on precarious looking sticks. Her previous work such as Peninsula, Stint, TIP and the Tate’s 2014 commission impressed with their insistent almost violent deconstructionist mantra, but here the objects of Folly seem marooned and unimposing. Similarly disappointing was the French pavilion which mounted an interesting looking set of objects around the idea of instruments, music and sound studios. The problem was the curation – or rather lack of it. The day I visited it was unclear what, if anything, was supposed to be happening, and no one around who seemed to know anything. (I gather from seeing subsequent Facebook posts from conductor Ilan Volkov that when the right musicians were around it could really take off. Not when I was there). Of course this listing could go on for many more pages, and much of what can be encountered, or even the best of some of the rest is missing. To my shame I missed Philip Guston at the Academia, and Daniela Ferretti and Axel Vervoordt’s latest offering at the eclectic sumptuous Palazzo Fortuny sounded enticing as always. Yet attempting to conquer the whole of the Biennale would simply be a painful folly. What soon becomes clear however, is that Christine Macel has definitely brought this year’s theme back to the creativity of artists as opposed to the 56th Biennale’s more political outlook, even if as usual it’s down to individuals to decide how to tow the line. Some may have found Macel’s main pavilion a little unpersuasive. It was pleasant enough, a sort of homely drop in art cafe, and it did add a nice participative note to what can often be an overly passive experience. But the big question it leaves me with is that question about relevance: look at the world today. Should art be made to disturb? Is it allowed anymore to simply exist in the aesthetic zone, or should we require it to be instrumental as well as intrinsic? How you think about this question will probably determine how you feel about No. 57. But however you look at it, it is Venice – and particularly the Arsenale – that emerges yet again as the greatest story of the Biennale, a unique platform for the artistic spur. In the Arsenale you can both wander and wonder for hours before even encountering any pavilions, challenging any artist to raise their game on entering. Back to the City. On my last evening in Venice I took in the opportunity of a rare performance of Monteverdi’s Il Ritorno D’Ulisse In Patria (The Return of Ulysses). Written in 1643 in and for Venice, it is Monteverdi’s last opera. Its music and its drama are infused with the same sumptuous harmonic colour and intense theatrical drama that suffuses the city of its creation. As you walk out of the Fenice opera house at the end of the performance, down the entrance steps that take you from theatre to city, something quite extraordinary happens: there is no sense of the usual transition from artifice to reality. It is as if you are moving simply from one stage to another, with no change in the suspension, or to any resumption, of reality. You look out, and you are met by a scene of buildings, streets, people, and indeed of spirit that are what make Venice the ultimate theatre of art, and its Biennale the ultimate emanation of that theatre. I know of nowhere else in the world with quite this sensation. And then there is its transience, and vulnerability. The Venetians know all too well that nothing lasts forever. If that theatre is your quest, then go whilst you can. This entry was posted in Uncategorized on 10 July 2017 by Marshall Marcus. As the remarkable state of the art Hamburg Elbphilharmonie prepares for its 11 January 2017 opening, and with new concert halls proliferating across much of the globe despite an international backdrop of economic and sociopolitical anxiety, now is a perfect moment to step back and ask what the big lessons are that can be learnt from the last half century’s enormous developments in concert hall design. 1. Holy Grail or Glass Bead Game2? In 2015 Paris got a brand new one. Hamburg is next up with a quite extraordinary one, Sydney’s has always been controversial, Berlin and Vienna both have two really good ones, Munich clearly needs a third one, post referendum London is deciding if it can afford another one, and the traditional consensus is that the best three of all time are in Amsterdam, Boston and Vienna. Oh, and new ones are spreading like wildfire all over the world: Beijing, Dubai, Caracas, Guangzhou, Moscow, Reykjavik, São Paulo and Shanghai being merely eight of some of the more significant recent global examples. No, not airports. Not museums, nor even football team managers. Instead, we’re talking concert halls. And although aficionados of classical music must surely be enthused by seeing that hardly a month goes by without yet another article opining upon the merits of the world’s finest concert halls, you do wonder how many of the screaming ‘My top 10! !‘ articles quite hit the most important nails on the head. The last two months brought a slew of articles about the new Hamburg Hall. October had been the turn of Business Insider UK, courtesy of journalist Gus Lubin, and perhaps that one was different. Perhaps. After all here was the stamp of real authority: a piece about a new 2016 research paper on the world’s great concert halls by Leo Beranek, the venerable acoustics expert who recently passed away aged 102. Beranek’s analytical framework has consistently related to the following seven key acoustical attributes of a concert hall: liveness, loudness, clarity, intimacy, spatial impression and diffusion, warmth, hearing conditions for the musicians, and the absence of deficiencies such as echoes or noise. That’s quite a list – actually a beautifully complete one when it comes to halls and acoustics – although it goes a lot further than what many musicians seem to focus upon in practice: the need to have the two often contradictory elements of warmth and clarity in abundant supply. At first sight the new top ten results offer few surprises. The 10 “best-sounding concert halls” are deemed to be (in order): 1. Vienna Musikverein 2. Symphony Hall Boston 3. Concertgebouw Amsterdam 4. Konzerthaus Berlin 5. Tokyo City Opera Concert Hall 6. Stadtcasino Basel 7. Symphony Hall Birmingham 8. KKL Lucerne 9. St. David’s Hall Cardiff 10. Meyerson Center Dallas. But notice that Beranek’s list is titled a ‘subjective‘ one, and that the number of participant ‘experts’ answering the questions was nowhere near sufficient for what statisticians would require to be able to draw really firm conclusions. It is interesting that listeners in Boston Symphony Hall can also be divided into two groups, (and possibly three counting those in between) namely, those who like the sound best in the front two-thirds of the main floor and those who prefer the sound in the upper rear second balcony. The difference is readily apparent to anyone by listening to the first half of an orchestral concert on the main floor and the second half in the rear second balcony. On the floor the sound is clear and loud with full bass, with many early reflections, none of which mask the direct sound, and with reverberation that is beautiful. In the rear second balcony the reverberant sound almost immediately follows the arrival of the direct sound and it is loud and completely enveloping. Those who have subscription seats in the upper balcony praise the sound. The author of this paper, preferring clarity to the sound, identifies with the main-floor group”. All of the above is true, but when it comes to the right seat in the right hall to hear a particular piece of music played by a particular musician/group of musicians, life is considerably more complicated than, ‘shall I take the lively clarity seat in the stalls or the reverberant enveloping one upstairs’? Three different yet utterly random examples may serve to illustrate this: if I had to choose a hall in which to listen to a Haydn symphony on period instruments in, then I could probably mention quite a few favourite concert halls for this (my all time favourite – see below – dating from 1672) without getting to the Beranek list. The Eisenstadt Haydnsaal of 1672: the first great shoebox? Now ask on what stage the greatest, most moving number of performances for classical music connoisseurs of big scale Mahler or Bruckner symphonies have happened in the last few decades: I’d probably mention the Royal Albert Hall, a hall housing a potential audience of more than 5,000 which would surely be considered by acoustic experts as one of the less good acoustics of any successful major concert hall in the world. Finally, if I could choose an ideal acoustic in which to hear Schoenberg’s Op. 31 variations played by a first class orchestra, then I might well go for a hall like the Slovak Radio Hall in Bratislava, or if I was really daring, RAI’s super dry Torino studio, two halls that won’t be going on anyone’s top ten list – or probably even top hundred – anytime soon. Lastly, there is the huge question of the variation of sounds in different seats. Who (apart from certain ‘VIP’ types) really wants to sit in row one of the stalls in a single one of the top 10 halls? I am sure that many informed listeners would be happier in a ‘good’ seat in any of the following halls, all of which can be exceptional sounding in the right context but none of which get into that top ten list: Berlin Philharmonie, Konzerthaus Vienna, Tonhalle Zürich, Bridgewater Hall Manchester, Sage Gateshead, Disney Hall Los Angeles, St Petersburg Philharmonic Hall, Tchaikovsky Conservatoire Hall Moscow, Sapporo Kitara Hall, Sala São Paulo, Shanghai Symphony Hall, Paris Philharmonie (see my review last year of Paris here). And then there are a host of new halls that I imagine that I might have added to the list had I experienced them – the new Antwerp hall, Copenhagen’s Koncerthuset, Lahti in Finland, and many from China and Japan. And finally, I have deliberately not mentioned a single Polish hall (the ‘why’ of that decision will become clear below). The fact is that it is possible to spend years of your life minutely analysing the strict acoustics of this – reverberation times, secondary and tertiary surface reflection volumes and times, diffusion sound envelopes, rear stage wall deflection, degree of bloom, changeable versus static acoustics, shoebox versus vineyard, etc. – and still only have scratched the surface. Between 2006 and 2007, when the Royal Festival Hall in London was being acoustically reworked, I learnt about the complexity of that surface first hand: I spent a good year and more working with acousticians Larry Kierkegaard and Associates, and learnt the ‘acoustics’ lesson all too well. Days and days went on minute matters like the importance of filling certain grooves in a series of wood panels, what to do with the sound hitting off the hard corners of the boxes, how to deal with the penetrating bass from the Ballroom below, and other sounds from inside and outside of the hall, how to help a certain key artist with the transition to these changes, and other matters, many simply too arcane to detail here. In the course of this process, and also in the ensuing years, something startling happened: I learned to listen to the hall itself, not simply the sound being produced in it. It became like a game of metaphysics, like trying to clear the ‘Lockean’ table of all its contents in order to reveal the true colour of the surface that remained. But of course, there is no absolute true colour. This kind of thing can end up being a divine curse, an obsession that almost threatens to take your life away: If you’re a real aficionado, a ‘Beranekite’, as I became, it really is like searching for the Holy Grail. But for many audience members and certainly most of a far larger and key group – potential audience members who have never been into a concert hall – it’s more likely to resemble an enforced visit to a not very pleasant Glass Bead Game. One thing that is interesting is how so much of the conversation in so many of the articles about concert halls has centred around what the basic configuration of a hall is. Of Beranek and Skålevik’s list, by far the majority of the halls are shoeboxes or variations of that type – oblong shape; parallel side walls; height, width and length in approximate comparison to that of a normal shoebox; seating on a flat floor stalls section with additional balcony level(s). But of the group of halls that have so far been referred to above, whilst twelve are strict shoeboxes, ten others are a curvilinear and/or vertically stacked variation of a shoebox (i.e. a shoebox but with increasingly curved walls towards the stage end, and/or increased vertical ceiling height and an increased numbers of balcony levels more akin to a theatre), four are either unique or else Greek theatre derivations (more about that below); and the remaining twelve are of the newer so called ‘vineyard’ design – tiers of often asymmetric terracing with audiences beginning to encircle rather than simply face the stage, the audience seated in ‘trays’ of varying heights, and with a strong sense of the audience being in the same room as the stage but wrapped around it, rather than facing up towards it. Whilst the acoustics of these various designs have been extensively mapped by the Beraneks of this world, and whilst one can argue forever and a day about some of the conclusions, they don’t need any restating. So, what’s my point? Quite simply that it is increasingly pointless to discuss the acoustical design of a new concert hall in isolation, because when a hall is put up, there is more, much more, than the one important matter of acoustics going on. Yes, acoustics are absolutely vital. But though excellent acoustic properties are a necessary condition of a great hall, they are not surely a sufficient one, and as a consequence such properties should never be divorced from function. And if form follows function, it is time to consider the concept of function in a much broader manner. The fact is that when you see the extraordinary ability of concert halls to raise the cultural game, the richness of experience, and the communal vitality of a city, and place that alongside the massive social challenges that all societies today face, then past a certain level of acoustic quality it’s like rearranging the deck chairs on the Titanic to get so involved in a Glass Bead Game level of detail regarding acoustic properties that you fail to notice what that acoustic is there to serve. And not only that, it’s now really not so difficult to get the acoustics right enough with a variety of hall shapes. As Skålevik himself says “With the objective criteria of today, one can safely plan for a hall that would be somewhere on the scale from good to excellent.” He may have been referring to shoeboxes, but recent history is showing us that that can be true for an interesting range of designs. Instead, I think that we should be focusing on an additional layer of questions: is the external box that the hall is wrapped in in the right place within the city? Is it doing the right job? Is it value for money? Is it porous enough? (not porous in the sense of sound, but in terms of its openness and accessibility to society). How long-term is the thinking behind it? Can it be delivered on time and budget? What will it do for the city, the region and the people? And – perhaps the most essential question – which people? In the end this is the biggest rub of all: whilst the acoustics business is a holy grail for the few, it is actually a glass bead game for the many. And that is precisely what is wrong about so many of the ‘top ten halls of the world’ lists. If we really want to understand which are today’s great halls, then we need to look at the question from a variety of angles, and to aid this process, we need to start by understanding the evolution (the aetiology if you like) of concert hall design. Arguably, the Greek amphitheatre is history’s first great dedicated performance space for the arts, and indeed these curved, steeply raked and democratically arranged theatres appear at first sight as an ideal locus for both audience and performer. But as musicians who who have performed in such spaces know, these designs may be superb for classical speech but they are usually quite dreadful for classical music. Play a note and it drops off a terrifying sound cliff into desiccated silence before you’ve changed bow or drawn breath. Therefore when it comes to concert halls, in the beginning was the shoebox. But not any old shoebox. If you think about it then the use of the word ‘shoebox’ suggests, as described above, a very particular structure: approximately between a double and triple cube volume with a flat floor and nothing inside it once the shoes are removed. Except that for more than the last quarter of a millennium5, classical music concert halls were structured within. The stage was always placed against one of the short ends of the box, and often on quite a significantly raised platform. In addition there was a gallery level, which often ended where the stage began. Now this design concept is quite eerily similar, particularly in terms of functional structure, to that of an oblong early Christian church of the Roman style (e.g. Santa Sabina in Rome, which also has very similar proportions to the Eisenstadt Haydnsaal). Not only is the shape and disposition of the main volume similar, but the mass and placing in the church of a high altar bears an obvious comparison to the raised stage of a shoebox concert hall. For stage read East End, and for performer read … priest (there is surely a fascinating comparison to be elucidated for this latter aspect). Of course many of these early churches had side aisles, no gallery and other differences from a classic shoebox hall, but in essence both hall and church were designed to have a large congregation on a flat floor all facing in straight serried rows towards the focal point of an elevated plinth, where a select group of exalted initiated specialists ran proceedings according to a fixed set of rituals. This is the concert hall as the socio-cultural equivalent of the church: a high altar shoebox for high art. And so with the classical shoebox, the structural design has an inbuilt tendency to reinforce particular social contexts, power structures even, for performances. These surely influenced both listener and performer, and one of the most obvious areas for this was the all-important question of where you sat in the hierarchy (hall). Because the floor was flat, in order for the bulk of the stalls audience to have any view of the proceedings, the stage had to be high off the ground. So the front rows were often an appalling place to be as you had to crane upwards to look at anything. And the back half of the stalls was also often lacking in any feeling of contact with the performance. Sure, many of these halls have a sweet spot somewhere in the mid stalls area or parts of the gallery, but what percentage of the audience sits there? (Check out where the local reviewers sit, and you can probably see how large that area is). Just as staggering is how badly sited audiences often were in the side galleries. I have been astounded to see that in one of the ‘great’ shoebox halls that usually figures in top ten lists, the view from some of the expensive side gallery seats beggars belief, with huge sections of the strings and wind disappearing from view. And with this distorted view comes a corresponding distortion of balance. In another of the ‘top’ halls, a regular visitor comments, “The ‘problem seats’ are those in the back corners of the balcony, from some of which there is virtually no view at all of the podium” (quote from the Comments Section of the following article: The Problem with building Concert Halls – Financial Times, Edwin Heathcote). In fact to get a proper centralised view of the entire stage the one really good place in most conventional shoebox halls is along the front of the back wall of the hall in the expensive centre gallery seats. Finally, an unimpeded comfortable view; only, by definition, almost as far away from the stage as it is possible to be. And wherever you sit, the acoustics in these classic high altar shoeboxes was – to go back to Beranek’s list – bright, lively, loud, enveloping, but – let’s be honest – not always overwhelmingly clear. As discussed in Section 1. above, this works well for some repertoire but certainly not for all. In such halls anything from Baroque music with gut strings and light bows to late Classical symphonies can be heaven for volume, bloom and clarity. But for some of the big 20th century repertoire it can easily become overwhelming. Back to our simple acoustic needs: there is plenty of warmth, but is there enough clarity? So much for the Great Tradition. London’s 1951 Royal Festival Hall (RFH) was one of the first concert halls to attempt to set this design logic on its head (others did this earlier but more partially e.g. Carnegie Hall in New York adopting an almost proscenium arch-like theatre structure, or the unique Gothenburg Koncerthuset, a remarkable hall in many respects). The RFH was copied in quite a few parts of the world to begin with, and can perhaps best be understood as an iconic transitional space in the phase that followed the shoe box. It grew out of a post-war context in the UK in which culture was beginning to be seen as the right of all in society, and in that spirit, it synthesised a number of previous models to deliver an audience – performer relationship that was, at the time, really quite radical. A marked but not excessive rake in the stalls allowed a low stage height in relation to the first row of the audience. (The front stage floor height, astonishingly, is below the level of the audiences’ eyes by about row four, and from the first few rows the feeling of intimacy and proximity is a quite exceptional experience). This design created a fundamentally changed experience of performances by audiences. A substantial set of seats both behind and to the side of the stage allowed the audience to almost envelop the players. It’s true that some shoebox halls (e.g. Amsterdam’s Concertgebouw or Leeds Town Hall) have significant seating to the rear of the stage. However, in these halls the seats behind the stage have no relationship to those in the rest of the hall; it was in the RFH that one saw the first idea of a continuous seating around the stage, even if it remains – in comparison to many later examples – somewhat ‘clunky’ in execution. Finally, an innovative set of boxes jutted out into the hall. With the exception of some side seats, everyone has an uninterrupted view of the entire stage (although of course, one disadvantage is that the rake means that the balcony seats are yet higher and consequently further away from the stage). Experienced visitors to this hall may well be wondering, in a piece that pays such homage to no lesser a figure than Beranek, why the question of acoustic in relation to the RFH has not been mentioned. Plenty has been said – both before and after its acoustic redesign in the early 21st century – about the dry acoustic properties of this design. But the positives here are not about the acoustics. And in any case the RFH did not remain the new hall on the block for long. A mere twelve years after its opening, a new Philharmonie in Berlin by architect Scharoun became the new model and “the ‘granddaddy’ of all great post second world war concert halls”. Here was the progenitor for the new ‘vineyard’ style. “arguably the finest and most influential concert hall of the modern age … a truly radical building. A reaction to the symmetry and hierarchy of traditional concert halls, one-time expressionist architect Scharoun designed an egalitarian building that appeared as much like landscape as architecture. … this was a deliberately anti-monumental building, a riposte to the Nazi obsession with classicism, symmetry and solidity. Scharoun’s auditorium is itself broken into parts, its volume fragmented and made informal through a series of staggered terraces that create a topography around the stage. This is the musical version of theatre in the round in which there are no inferior seats. Accommodating 2,440, it proved a brilliant way of expanding the audience without compromising on closeness to the orchestra or acoustics“. Berlin’s Philharmonie may lack the London hall’s openness to the city and continual day usage, but the positives are utterly winning: excellent acoustics, a really successful democratic wrap around structure for the audience, increased proximity of the further flung seats to the stage than is possible in a large shoe box, and a great relationship between the front of the stalls and the stage, making this not only one of the most revolutionary but also one of the greatest halls of the 20th century. Period. Looking at the situation by the mid 1960s, one is struck by how far concert hall design had come since the days of the High Altar shoebox. Architects and planners were beginning to respond to a new type of audience – less hierarchical and arguably more eclectic, and a reminder of how society was itself changing. And the fact is that by the Berlin Philharmonie’s opening in 1963, all the elements that make a successful hall were in place, even if it was quite some time before scores of new halls began to exploit the Berlin solutions that are still being employed today. The lessons were there, but absorbing them seemed to take time. A real change is evident in the 1982 St. David’s Hall in Cardiff (Question to readers: is this really the first repetition of some of the new Berlin ideas? Surely I am missing other halls that are earlier examples of the nascent vineyard design of Berlin). But the most well known hall to really utilise the Berlin model to major effect was Tokyo’s Suntory Hall of 1986, which signalled the arrival of one of the most dominant concert hall acousticians of the modern era, Nagata Acoustics’ Yasuhisa Toyota. The Berlin Philharmonie is such an influential model then, and its design principles are so clearly evident in so many later buildings, that one is tempted to say that after Berlin, the rest is history. Not quite, because there were still a couple more developments that the 20th century brought to concert hall design which are worth considering before we step back, and both are visible in one iconic late twentieth century concert hall: Birmingham’s Symphony Hall, opened in 1991. Birmingham brought to public notice on a new scale the work of the acoustician Russell Johnson. If Toyota is a representative of the school that embraced wrap around vineyards, then Johnson evinces a quite different model. They key thing here is that these two models have now become the de facto major options for almost all new major concert halls. So what exactly did Birmingham do that was so important? The answer is that in Birmingham they took the old traditional shoebox and made a new altered version that was and was not, at the same time, a shoebox. The stalls were reduced from the length of many traditional High Altar shoeboxes, with an added gentle form of rake towards the rear half of the stalls. Because of these two modifications, the stage was able to stand somewhere between the height of a traditional shoebox and the radical RFH height. A new stalls circle balcony level was added, and a degree of wrap around was provided by seats curving around the rear of the stage, the building shape thus abandoning the traditional right angles of the rear and side wall terminations of so many traditional High Altar shoeboxes. Then extra seats were provided (Birmingham seats 2,262) by ‘stacking’ additional balcony levels – it has four levels if you include the small stalls circle. And there was something else: In Birmingham Johnson employed a new form of changeable acoustic6. A huge above stage canopy – looking nothing less than a borrowed prop from Star Trek – could be altered in height, and there were large reverberation chambers positioned above and behind the stage with doors that could be fully or partially opened, providing a variety of possibilities to alter the reverberation properties of the hall. Birmingham Symphony Hall 1991: a view showing the circular variable height acoustic canopy (centre, top, in possibly its highest position) and the reverberation chambers with the doors open (the chambers are visible as square black holes against much of the back wall on either side of the organ). Note also the reduced height of the front stage edge ensuring an improved stage – front row audience relationship, and the large number of circle levels. The gentle rake at the back of the stalls not visible in this photo. “Leo Beranek (LB:) when [Johnson and I] were working together on Philharmonic Hall even, he said, ‘Why don’t we have some chambers on the side that we could open and close?’ And I said, ‘This is too expensive, too much trouble, we can’t do it.’ And so I prevented them from coming in to Philharmonic Hall. But then he got them into other halls. [Laughs.] But the chamber idea hasn’t been terribly successful. Willem Boning and/or Ross Urkin (WB/RU): It may be a problem of where the energy goes and that the chambers begin to decouple the response of the room, and it’s maybe not quite as even a response. I went to Symphony Hall in Birmingham recently and the audience was very impressed when the reverberation chamber doors moved at intermission. It was very dramatic when they opened and closed. So it adds to the spectacle. LB: You heard the difference? WB/RU:… and in Birmingham the reverberation chambers are above the stage and make the sound more frontal and there’s a bit of image uplift and I don’t know, not all coupled sounds sound alike, I guess. It’s not going to sound like the Concertgebouw, this rich, spatially broad, well—integrated sound, somehow. Recently Toyota has also been described as being “sceptical of this [adaptable acoustic] concept, arguing that the great historic halls are flexible enough to cope with different kinds of music and a modern hall should be too.”7 I’m unconvinced by all of this; it’s true that in Birmingham there is something ‘frontal’ about the sounds with the chambers open, but this is also a matter of trade offs: increase in clarity against decrease in spatial diffusion for example. I’ve heard too many concerts in adaptable acoustics that have delivered some real gains to think that this was not a really interesting development. The devil however is in the detail, and particularly in knowing how to use the detail that is on offer. If you are going to have a changeable acoustic it is absolutely vital to have properly trained staff with good ears who really know how to use it. So let’s step back for a moment. Summarising the nature of the change from that 1672 High Altar shoebox at the heart of the once supreme Austro-Hungarian Empire to the multiplicity of fantastic constructions that have now spread around so many corners of the globe is actually not so difficult. To begin with is a change that is related not simply to acoustics, but to space, and even, dare I say it, a political concept like egalitarianism: From the rigid hierarchy of unabashed Cartesian dualism towards a more democratised multi-layered ‘multi-view’ space. And there we have it. From 1672 to 2017: a 345 year journey from the High Altar to the Open Society. So much for aetiology. But what does this history tell us about the best types of model for new concert halls as we survey the increasing plethora of world-wide demand? Well first of all that in the need to adapt to changes in society as well as to produce a decent acoustic, the late twentieth and early twenty-first centuries have seen the emergence of two apparently competing models: the amended shoebox variable acoustic that stems from Johnson’s Birmingham Symphony Hall, and the vineyard style deriving from Scharoun’s Berlin Philharmonie, which was later championed most significantly by Toyota, and of which the new Hamburg hall is the most recent major example. The vineyard may certainly seem to be king of the large halls – and the large budgets – these days, but the big mistake is to even ask the question in the first place without an understanding of context. Remember Duke Ellington’s simple yet powerful reply when asked what were the best types of music: ‘there is good music’ he is said to have said ‘and there is the other type …’ Same thing for concert halls folks. And to understand why this is so, it’s time to take another turn in the discussion, and indeed to move on to the last section of this essay. Many cities, countries and continents have been mentioned and alluded to in the narrative so far. But in moving towards an answer to the basic question ‘what makes a hall one of the great halls’, it is time now to focus on one country that has been deliberately almost entirely absent from the story thus far. As I wrote above “I have deliberately not mentioned a single Polish hall (the ‘why’ of that decision will become clear below)”. Now it is time to look at Poland. Dubai and Wroclaw – let’s be honest – were for the last few hundred years not the first places which the music industry was likely to look to when drawing up their Beranek-type lists. Consider the most recent new concert halls, and Hamburg is anyway the obvious candidate to spring off the tongue these days, with the soon to be opened Elbphilharmonie the biggest story for years, as big as the Paris Philharmonie of 2015, bigger than the intimations of the latest future refit at New York’s Lincoln Center, or the recent news that London has just lost the major portion of its previously agreed government money for a feasibility study into a new hall. Think about it: on 11 January 2017, exactly one week after this article will first have aired, the city of Hamburg will be the centre of the universe for classical music. It will probably be the only classical music story that day to have ‘escaped’ the classical pages for the hallowed general news pages. Hamburg will have upstaged the premier Alpha+ cities of Paris, New York and London. In most contexts that would be quite a story, the sort of thing that PR companies are paid a lot of money for. And with a concert hall as the PR company, that is exactly what will have happened here. Look up information about Hamburg’s new hall, and you can read about an acoustic, architectural and city planning triumph that combines an excellent state of the art vineyard sound design with a crucial role in the urban regeneration of a major German city. And then there is its elemental design: rising majestically in boat like form from the water through dark dock yard brick towards light sky-reflecting glass, with a dancing curved glass roofline that seems to wittily doff its cap to the Berlin Philharmonie. The entrance is along a seemingly never-ending seductively angled escalator onto a complex set of public spaces that include free access to panoramic outdoor views onto the city and beyond, and all of this is before even experiencing the highly praised acoustic of the main hall. Surely this is destined to do for Hamburg what Gehry’s Guggenheim did for Bilbao and his Disney Hall for downtown LA. But as with many of the best stories, there are also some pretty painful stings in the tail: nine and a half years in the building, six years late, a legal, financial and planning nightmare that’s taken the determined commitment of an army of people to resolve – and particularly the Hall’s General and Artistic Director, the heroic Christoph Lieben-Seutter – and a final truly eye watering cost of approaching 800 million Euros, making it more than ten times over budget and by far the most expensive concert hall ever built. These are facts that would have destroyed a lesser project managed by lesser people, and not surprisingly they portend brutal criticism as well as heady optimism. 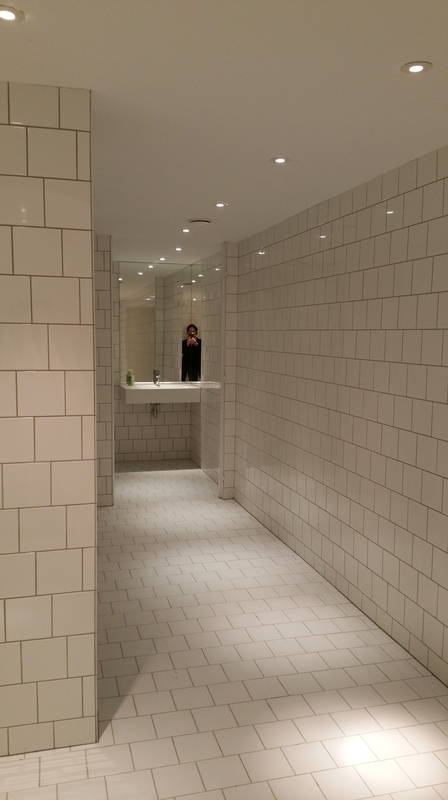 A recent review went so far as to describe the project as “an embarrassing white elephant”. Hang on a second. If the Elbphilharmonie is ‘an embarrassing white elephant’ then we might as well close quite a lot of concert halls and other performance centres worldwide. The fact is that for a handful of super-cities, if the budget can be held (reasonably) in check, if the city really needs a monumentally distinctive marketing symbol as well as a regeneration vehicle for its metropolis, then this may well turn out to be a type of model to follow, even if many residents remain justifiably unhappy at the process of how the Hamburg story actually played out. Long story short: I’ll bet that in the long run it emerges as a real winner, and that London will not be the only global conurbation thinking about this hall from a number of angles. Yet the interesting fact is that many (perhaps most) people live elsewhere, and are not resident in the handful of world cities that can afford this kind of undertaking. So for every city that wants and can afford an icon that successfully shouts above the terrifying volume of today’s white noise of globalised culture, there are surely dozens of cities that might want a new hall, but can’t afford, and anyway don’t need or want, an Elbphilharmonie. And in the wake of Trump, Brexit and Rienzi, it’s surely obvious that millions of people in that ‘elsewhere’ need a different kind of offer. For the first time since the fall of the Berlin Wall and the destruction of the Soviet Union the tectonic plates of civilisation have opened and are in serious flux: the naively promised ‘end of history‘ has proved to be nothing more than a chimera, and multiculturalism is under serious, (though one suspects not deadly) fire. It’s a new era that we are entering. And this is precisely where our friends in Wroclaw step in. Whilst Paris and Hamburg have been through enough angst to last – if not an eternity then certainly a number of half-lives (some people will know exactly who I am talking about here) – and with London’s new project swaying backwards and forwards, Poland has been quietly and confidently getting on with things in a way that may surprise some. But not those who know the country well. So significant new halls from the last half decade are up and running in at least five places in Poland, counting Luslawice, Katowice, Krakow, Szczecin and Wroclaw8. And of course if ‘new’ is not what you want, then Warsaw already has a great traditional shoebox in the shape of the stunning, well upholstered Philharmonic Hall. Of the new halls in Poland, the beautiful Krzysztof Penderecki European Music Centre in Luslawice and the Szczecin Philharmonic both seat fewer than one thousand, with the Penderecki hall part of an impressive and thoughtful residential retreat for talented emerging artists, the brainchild of Krzysztof and Elsbieta Penderecki. As I saw on a visit, their vision, drive and commitment will no doubt ensure the success of Luslawice on the international chamber music and small to medium-sized orchestral circuit, but with its size and isolated location, the hall was never meant to play a regular big symphonic function, whilst the ICE Congress Centre in Krakow, though seating over two thousand, focuses much more on a broad-based entertainment programme. Both halls have found favour with local audiences, and quickly attracted world class orchestras. What really separates them though is their siting within their respective cities. Whilst I was working at the Festival Hall in London, almost a decade ago, the Wroclaw team came to visit as part of their design stage for their city’s new hall. They asked some interesting questions, drawn, one could easily tell, not simply by the issue of what to put inside of the hall, but also by how the space around it should work. And that approach has now paid dividends. The eventual cost of the Wroclaw hall was around 100 million Euros. That’s considerably less for a new multi hall building than the final budget for London’s 2005-7 Festival Hall refurbishment, about a third of the cost of the Paris Philharmonie, and almost an eighth the cost of Hamburg. And apparently 20% of that figure went on a new underground car park. Besides somewhere to hide a few hundred cars, that money bought a box containing not only four halls – an 1800 seat symphonic hall plus three smaller spaces (one of which could serve as a rehearsal room for a symphony orchestra) – but also spaces for recording studios, chamber music rehearsal, an educational center, exhibition space, offices and a vast entrance foyer. And like Katowice, but unlike so many traditional concert hall buildings, it has a backstage that does not resemble the servants’ quarters, but is instead of a similar quality of finish to the front of house and the halls themselves. As I walked the back stage earlier this year it felt more as if I was in the offices of a successful commercial company than the often cramped quarters of a number of long-suffering arts establishments. “A unique acoustic treat … an amazingly blended sound while keeping the highest transparency.” Stefan Englert, Executive Director Budapest Festival Orchestra. But that’s not all. Actually it should only be considered the beginning. For in addition to excellent acoustics, a well thought out main hall, and a wide-ranging suite of facilities, what is also strikingly impressive in Wroclaw is the way that the building sits within the city, and not just spatially, but viewed through the prism of both its long history, and its recent cultural development. And it is these factors – just as much as the realisation of a Beranek like acoustic dream – that informs the potential success of Wroclaw. The original brief in Wroclaw – from way back in 2005 – refers to the need for excellence of acoustic, architecture and function, and it has really succeeded in the last of these. An immense four story window has been pierced into the huge horizontally banded façade, creating a palpable sense of grandeur but – just as important – opening itself to the city. A large oblong of a square leads to this front entrance from one of the city’s main road arteries via the Wroclaw Opera and, off to the side, the beautiful Historical Museum, an approach avenue just as impressive as that achieved, say, in Birmingham. With intelligent curation, this square can become an extension of the building itself, and a new cultural town square to balance the more traditional Market Square a few blocks away. And as you enter the building itself you encounter a real sense of drama, with steps sweeping down as well as up to the various levels, and the outside of the huge back wall of the main hall facing you in a single gently curving sheet of reflective black corian. Interestingly, the new building is not simply a new hall for the local symphony and some swish visiting orchestras, but the National Forum of Music for Poland, a name that certainly signals intent. The main inhabitants are the Wroclaw Philharmonic, but it’s worth noting that between 2005 and 2015 that organisation jumped from having one to eleven resident ensembles, expanded from delivering two to seven annual festivals, and increased its education programme from a dozen or so events a year, to hundreds. According to Director Andrej Kosendiak, in the first year of events more than half a million people attended. Here is a story that evidences not only ambition, but also planned expansion. Wroclaw, the fourth largest city in Poland and capital of a province (Silesia) with several million people and an urban population of over 600 thousand, is comparable to hundreds of cities worldwide in terms of size, hinterland and scale. With a fascinating polyglot history – part of Moravia, Bohemia, Germany and Poland at different times in its life, practically equidistant from Berlin, Prague and Warsaw, it remains resolutely Polish yet undeniably European. In the years following the Second World War the city developed significantly as part of big alterations to Poland’s political situation. First came the change from being Breslau (the old German named town) to Polish Wroclaw, then the freedom flowing from the demise of the Warsaw Pact in 1991, and latterly the huge developments that took place after Poland took up EU membership in 2004. If it does not quite have the tourist cache of not so far off Krakow, Wroclaw has nevertheless built up an impressive cultural life, and with Kosendiak leading the Orchestra, the decade since EU membership has seen a significant bottom up development of activities, allowing the new hall to really take advantage of this prior expansion. Think of it as the polar opposite to some well-known examples where you put up a great hall, bring in some stars for a grand opening, and then try to persuade the audiences to keep coming. Wroclaw has shown, instead, the benefits of organic growth, the new hall adding to what was already happening, not trying to function as an overnight sensation. Add a fast comfortable Pendolino train from Warsaw that now brings you from the capital in 3.5 hours, and a five-minute taxi ride from the rail station into the city centre to the Hall, and you can see the unarguable logic: the right sound in the right hall in the right place at the right time. Civic planning avoiding civic hubris. The lesson is becoming clear: you can have the greatest acoustic in the world but if a hall is to be successful today it also needs the right context, in space, but also in time. What and Who does your hall represent for the city are vital questions, as is the big big issue of how to reach out to new audiences. And the final key challenge (perhaps in the end the most tricky) is to successfully plan far enough ahead. When one considers future needs – think decades into the future, not simply the next five years – then there is one last example that shows that concert halls can probably be taken successfully into some less obvious locations when they can afford to play that long game and think creatively. Dubai. I am standing at the foot of the world’s (currently) tallest building, the improbably slender, needle-like Burj Khalifa. The building’s 160 floors seem to hold the Guinness Book of Records not simply for being the tallest building in the world, but also for holding the largest number of Guinness Book of Records in the world. Big, wealthy, sophisticated yet undeniably ‘brassy’, Dubai is well beyond the obvious traditional remit of western classical music. Down the road, Abu Dhabi has the impressive Abu Dhabi Music and Arts Foundation and its Festival, and not so far off places like Doha and Muscat have orchestras and opera houses. But Dubai, with its state of the art beach ‘resorts’, luxury shopping mall culture, modernist architecture and humming nightlife seems a paean to anything but concert life. Yet it is here that the Middle East’s most interesting performance centre has recently been created in a new area of Dubai’s downtown. As a European Ambassador stationed in the UAE explained to me recently, one of the impressive aspects of today’s United Arab Emirates (Dubai is one of the seven Emirates making up the UAE) is the tendency to think long term. Half empty ten lane roads and massive construction projects have been cleverly engineered with the aim of being future proof. In myriad ways, thought is being given not simply to what is needed in the next few years – the ‘business as usual’ approach of the election term myopia that dominates so many planning cycles in western capitals – but more in terms of the next few decades. And the new Dubai Opera, nestled in its own burgeoning Opera District, is a good example of such long term thinking. So the new Dubai Opera building has been placed centre stage in the bustle of the new downtown Dubai, linked by footbridges across a new lake to the Burj Khalifa, the enormous Dubai Mall and the Souk al Bahar, in an area already seeded with art galleries, museums, design studios, hotels, and residential towers. All of this is within a short taxi ride of the many beach resorts of Dubai’s coast line. Abu Dhabi is not much more than an hour’s drive south west, Sharjah is just up the road, classic desert scenery is within easy reach, and the nearby airport is a hub for intercontinental flights to just about anywhere. The population of Dubai is around 2.5 million, but the active daytime population is said to increase by almost another million. You can, again, see the logic: if you can get the design and the programming right, here is a massive constituency of people with disposable income. Of course this is a challenge: there may be people and there is certainly money, but this is hardly a city drowning in centuries of western cultural tradition, and to be honest, many of the visitors are here for anything but culture. So what would be needed here is a far more flexible approach than in the ‘Hamburgs’ and ‘Wroclaws’ of the world. And this is exactly what the new Dubai Opera seems to have delivered. The new hall seats almost 2,000 in a clean design with excellent views of the stage from all seats (the spec. claims that no seat is further than thirty five metres from the stage), and a bright lively acoustic includes a new individual-seat air conditioning system that eradicates a sound problem suffered by many otherwise excellent new halls. But the hall’s real secret is its flexibility, which is unlike anything that I have encountered before. Floors, walls and ceilings can be moved electronically depending on the space requirements, 900 of the stalls seats can be hidden beneath ground, and the entire set of stage side boxes can be removed at the press of a few buttons. The result is a multi-function space that can be used in at least three different configurations: as an opera house/musicals theatre, a concert hall, or as a flat-floor space. As well as the main hall there is a studio designed for anything from chamber music concerts, to orchestra and ballet corp rehearsals. Huge foyer spaces with multiple floors of vertical glass wall look outwards, with an open plaza behind and a new landscaped park and the Burj Khalifa lake at the front. Presenting itself from outside as a dramatic traditional dhow shaped boat, the park, lake and plaza will give Dubai Opera the space to dominate the surrounding area in contrast to the jostling skyscraper architecture of much of downtown Dubai. The result is a calm civilising space within the otherwise frenetic density arising throughout the city. Architect Janus Rostock of W S Atkins and the planners certainly seem to have done their work. So here we have three fascinatingly varied templates for successful halls, all with first rate acoustics, and all with a different design approach. Yes, you can wow the global crowd in more than one way, as Hamburg and Dubai demonstrate, but of course, Dubai is a highly unusual situation, and as one of the principal Hamburg architects, Jacques Herzog, says, looking back on thirteen years of ‘struggle’, “The whole thing is really so unlikely … It almost happened by chance, from this individual, whose idea then gained a kind of bottom-up momentum. You could not win with such a thing in a design competition. And perhaps we are the last generation of ‘author’ style architects to have such a chance”. Perhaps that is just the architect speaking. But if not, then in many ways Wroclaw becomes the most important solution, if only because it is likely to be the most effective regular template for the largest number of urban metropolises around the world. 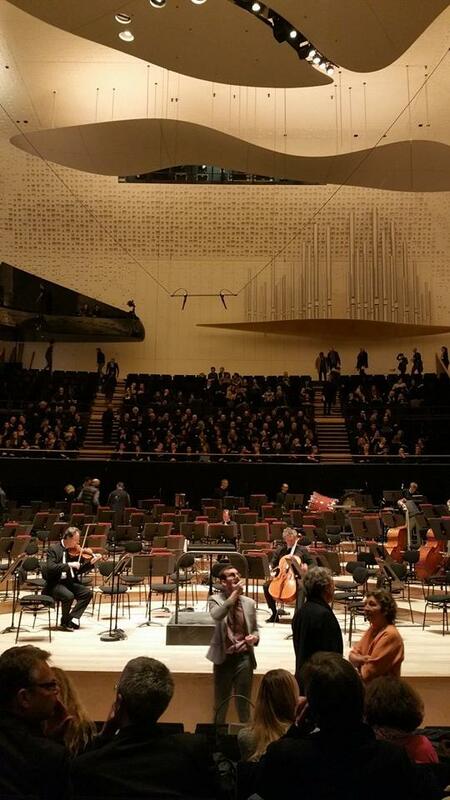 But whatever changes in concert hall design come during the next few decades, one thing is clear: without compromising on acoustics or forgetting the lessons of the late and great Leo Beranek, the old ‘Glass Bead Game’ is over. And as Hamburg flings open its extraordinary doors in a matter of days, and London ponders its next steps in the ‘to be or not to be‘ game of a new hall for the UK capital, context needs to remain as the overriding criteria of what works and what fails. With such a perspective, the one sure thing that can be said is that the blunt question ‘shoe-box or vineyard?’ can never be answered a priori, but can only be delivered as a successful answer, empirically. Context, context, context. This entry was posted in Uncategorized on 4 January 2017 by Marshall Marcus. 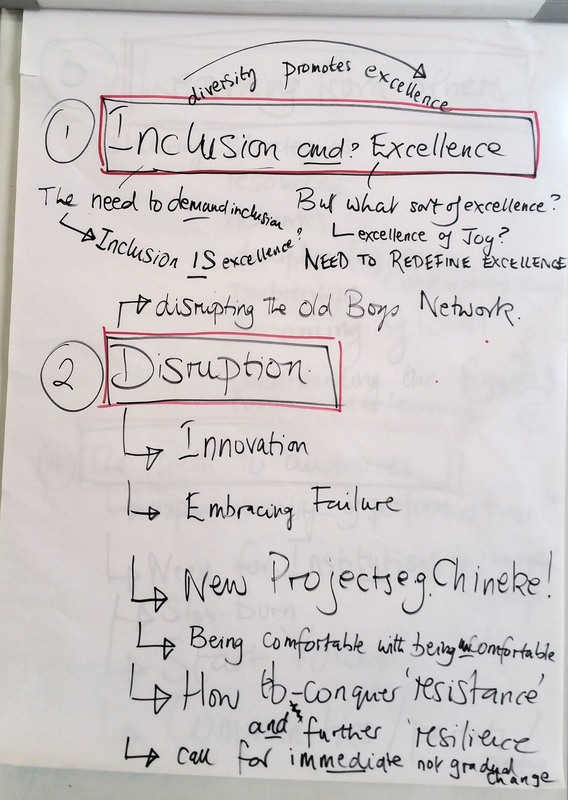 Thanks to the Sphinx Organisation, in association with hosts Southbank Centre, Chineke!, London Music Masters and Sistema Europe, for the recent and first Global Symposium on diversity and Inclusion in Classical Music, held at London’s Southbank Centre on 18 July 2016. This was a really energising day, thanks to inspirational voices like trailblazing ‘doers’ Aaron Dworkin, Rosemary Nalden and Chi Chi Nwanoku, and up and coming younger performers like Braimah Kanneh-Mason and Ravi Veriah Jacques. Apologies for this rough and ready summary (which omits the actions agreed), and here’s to a more detailed note, and plans for the next convening! This entry was posted in Uncategorized on 20 July 2016 by Marshall Marcus. It was recently announced that Venezuela’s National Electricity Corporation (Corpoelec) will form a new youth orchestra in Caracas under the aegis of El Sistema, with the aim of eventually enrolling up to a thousand children. 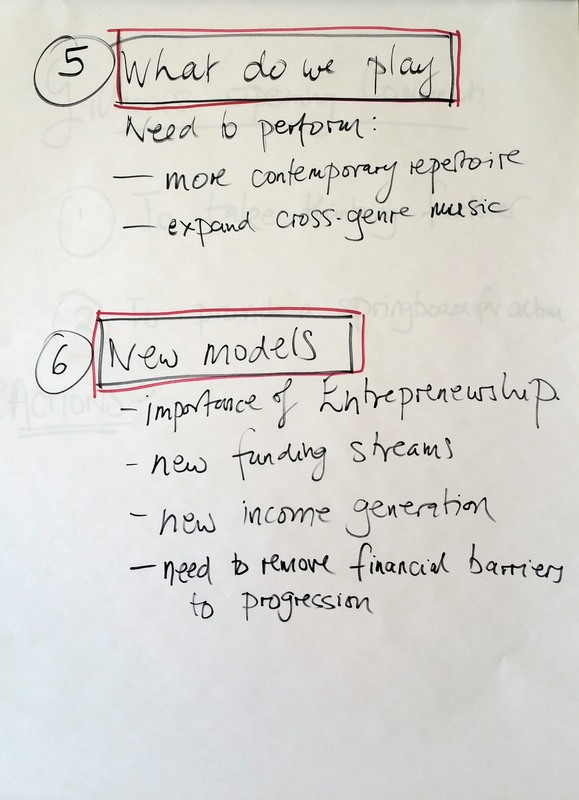 (Stop for a moment and think about that announcement: it’s nothing short of a revolution in institutional and model development for El Sistema). Not long ago came the news of Maestro Abreu’s plan to extend El Sistema’s work into schools throughout Venezuela. Another big, very big, idea. Meanwhile in Barquisimeto the proposal for one of the world’s greatest architects to build an opera house complements the announcement last year of Milan’s La Scala opera house partnership with El Sistema. Here are three examples – plucked almost at random from El Sistema’s ever burgeoning and seemingly unstoppable structural and institutional growth – of radical new models to advance the spread of successful Sistema work in Venezuela. After almost 40 years, the unremitting daring pace of structural expansion there remains mind bogglingly ambitious, and whilst such changes take their place alongside highly valued pedagogical and musical developments too numerous to list in a blog of this humble length, they are no less integral to the success of El Sistema. Actually perhaps more integral; a point we can often miss. Now I could go on at length about the developmental ingenuity of Maestro Abreu’s model development and its critical importance for the growth of El Sistema, but instead of preaching to the possibly converted, here’s my question for today: what is happening in the rest of the El Sistema world that can even begin to compare with the virtuosic depth of long term strategic planning and development of El Sistema in Venezuela? Answers, I suspect, could be proffered on an extremely small postcard. The fact is that many people are so justifiably impressed by the methodology and pedagogy of El Sistema, that, in my opinion, they have arguably neglected the radical nature of the model development side. Now don’t get me wrong: there are some great programmes and wonderful teaching approaches out there, and there are also some very impressive institutional initiatives, such as Take a Stand and Salzburg Festival’s recent mass Sistema play-in that brought almost 1500 young Venezuelans to perform in one of the world’s most important music festivals. So we have here a philosophy, a methodology, a pedagogy, actually a complete aetiology of positive social change in a proven program of community cultural activity. (Apologies, proven is a big word that remains arguably short of our current grasp). But is it only Maestro Abreu that we should be relying on to argue the case in front of the World Bank, Davos, G20 and TED people? My thesis is that to begin to be successful at such a level, at a level where there is significant institutional leverage on big international stages, El SIstema programmes need to be more imaginative and bold in their institutional thinking. And somewhat more outward facing. 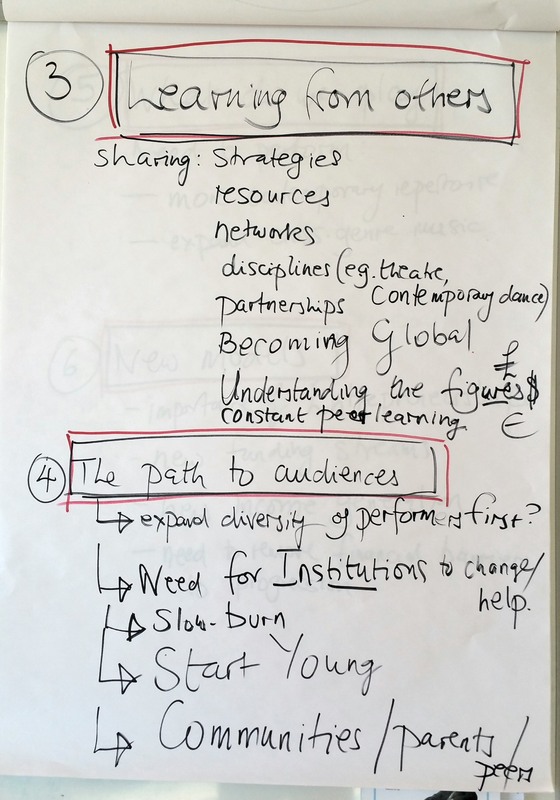 The laboratory phase of hundreds of varied Sistema organisations worldwide has been great – and continues to be – but it’s essentially a laboratory of pedagogy. What is now needed to lay alongside it is a laboratory of institutional and model development that takes Sistema organisations into daring new partnerships and as yet unimagined alignments. 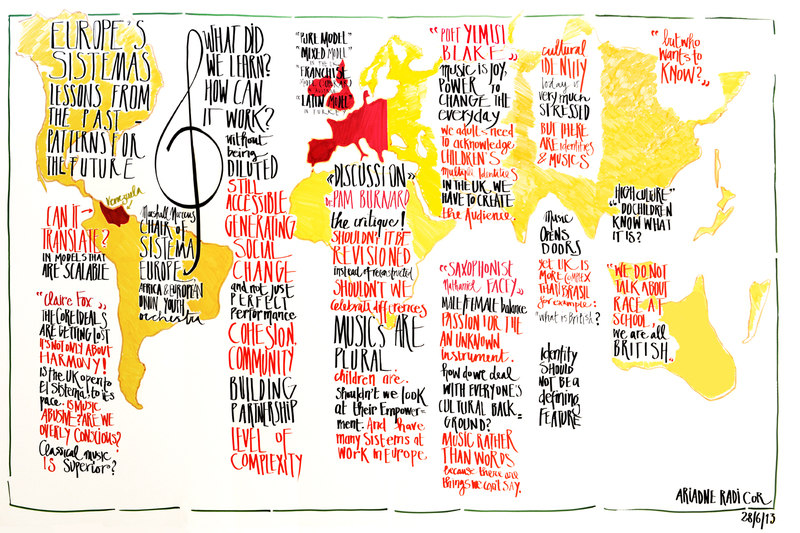 A couple of examples from Europe: Big Noise in Scotland is hosting an international teachers’ conference in October 2014. How great an opportunity is that for major international tech. companies or inter-governmental organisations to eavesdrop on this gathering? Or the next Sistema Europe Youth Orchestra camp in Istanbul in August. Why not invite major international corporations to come alongside it to see how young Europeans from a dozen countries or more are learning to communicate effectively across major language, social and cultural barriers? Fact: somewhere near you is a company like Corpoelec Venezuela; not a sponsor, but a game changer. Fact: unlocking that change is just a matter of imagination. This entry was posted in Uncategorized on 30 May 2014 by Marshall Marcus. 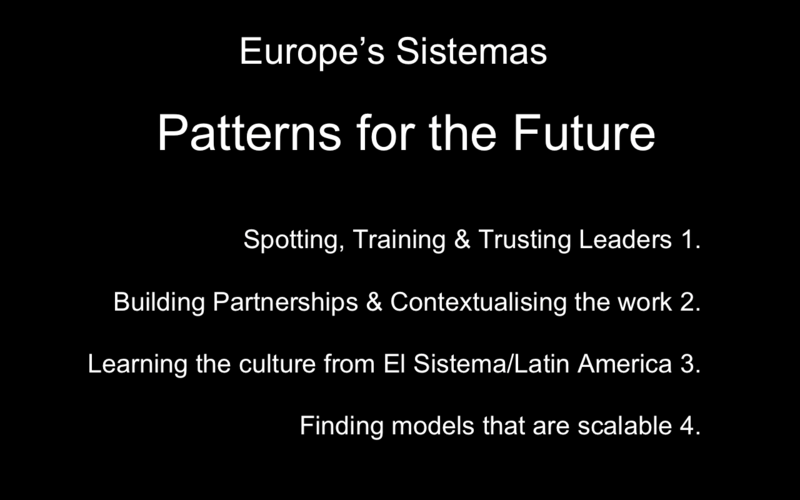 Subject: Europe’s Sistemas – Lessons from the Past and Patterns for the Future. If you have any time at all I recommend looking and listening to the video from our Turkish friends (with a little help from Guatemala) in slide 40 in the power point presentation below. (There should be embedded video that you can play by clicking on the image). Most of the kids in the video have been playing for around 4 months. This shows what Can be done far away from Venezuela. This entry was posted in Uncategorized on 7 July 2013 by Marshall Marcus.